Schedule Liz for your next cookbook club meeting. She will guide your club members through a discussion and share her experiences with a variety of recipes featured in your cookbook. Members are welcome to share their cooking experiences with the group and to ask Liz any cooking questions they may have. Following the discussion Liz will demonstrate 2 recipes from the cookbook and share the tasty ins and outs of each. Generous samples will be available for all. Schedule Liz for one meeting or for a series of meetings. 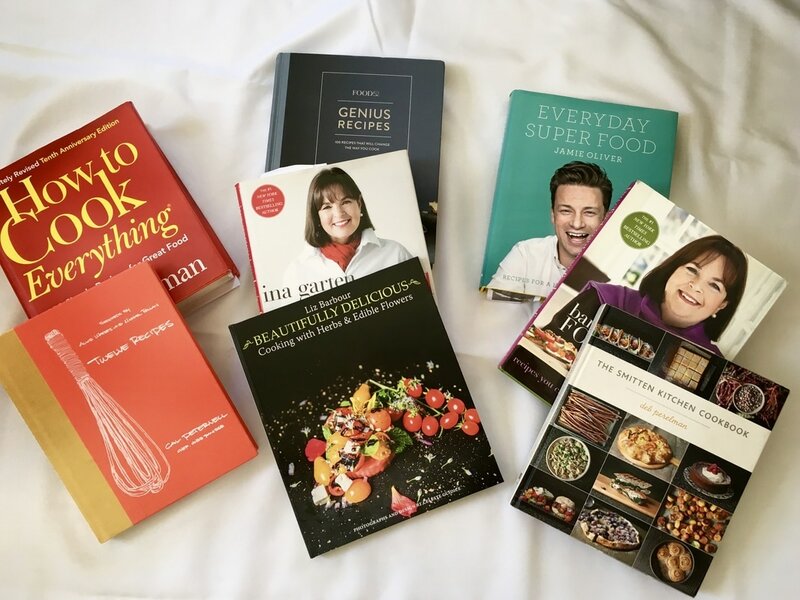 Choose a cookbook from the list of Liz’s favorite cookbooks below or suggest your own selection. Each meeting will begin with a discussion of your cookbook. This is a time for members to share their recipe experiences with the group. Following the discussion Liz will prepare two recipes from the selected cookbook for everyone to taste. Recipe copies and papergoods are included. This class includes a book signing of Liz’s 1st cookbook!